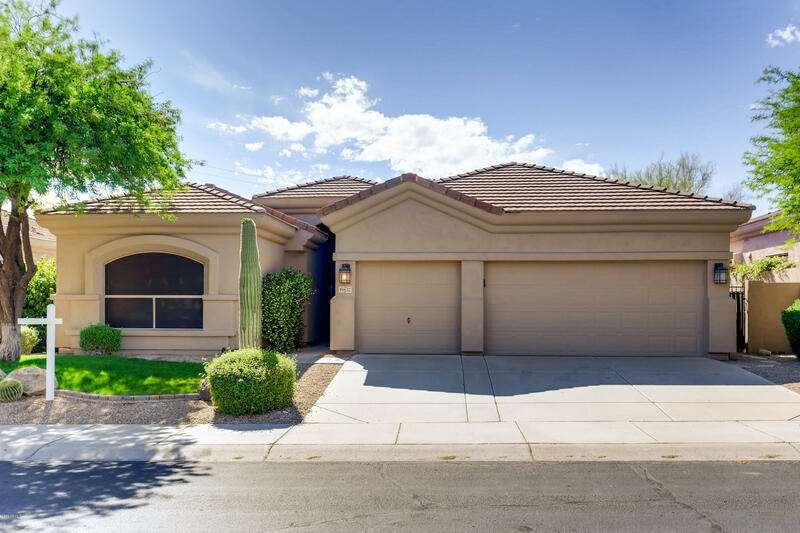 All GRAYHAWK PARCEL 3E SOUTH homes currently listed for sale in Scottsdale as of 04/25/2019 are shown below. You can change the search criteria at any time by pressing the 'Change Search' button below. "Remarkably open and spacious home, full of light & brightness in guard-gated Grayhawk neighborhood in North Scottsdale. Enjoy the flow of a great open floorplan! The huge kitchen with a wrap around breakfast bar has updated appliances including double ovens, Viking range & Miele dishwasher. Kids & pets will enjoy the grass play yard in back with fenced pool. You will enjoy having friends around the beehive fireplace and surrounding patio. 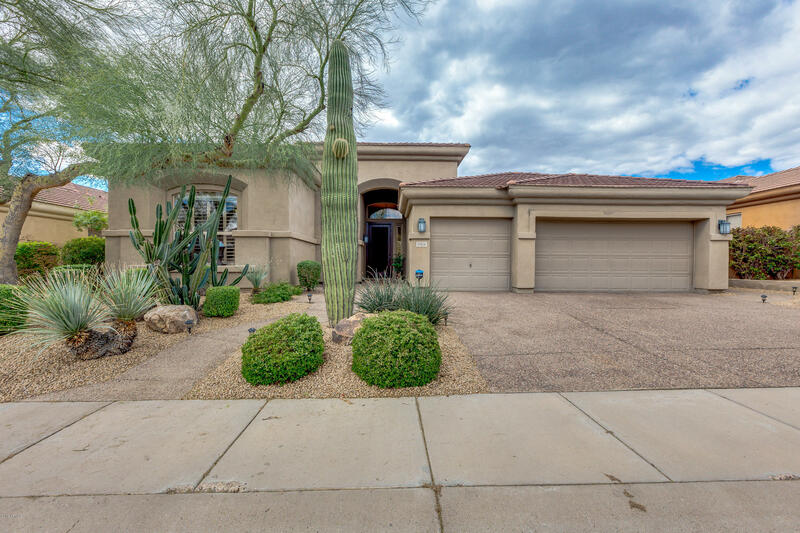 Separate Master has wall-mounted TV & beautifully updated"
"Located behind the Talon Guard gate in Grayhawk. TW Lewis built home on a very private lot. No Neighbors behind. Split master bedroom plan with 2.5 baths and a spacious living and dining room combo. Island cooking area in this great kitchen, plus gas cooktop, stainless steel appliances, microwave and an eat in kitchen area. The family room over looks the gorgeous back yard. Oversized tile throughout and lots and lots of plantation shutters and crown molding. Check out the lush private yard with"